omg isn't that just adorable? Oh lol... this really is adorable XD The simple bg and the soft colors are really soothing, nice! I like the simple and pale background. aw, thats so cute and original ^^ I've never seen a scan like that though. awesome job! Really really really CUTE~!Super KAWAII~! 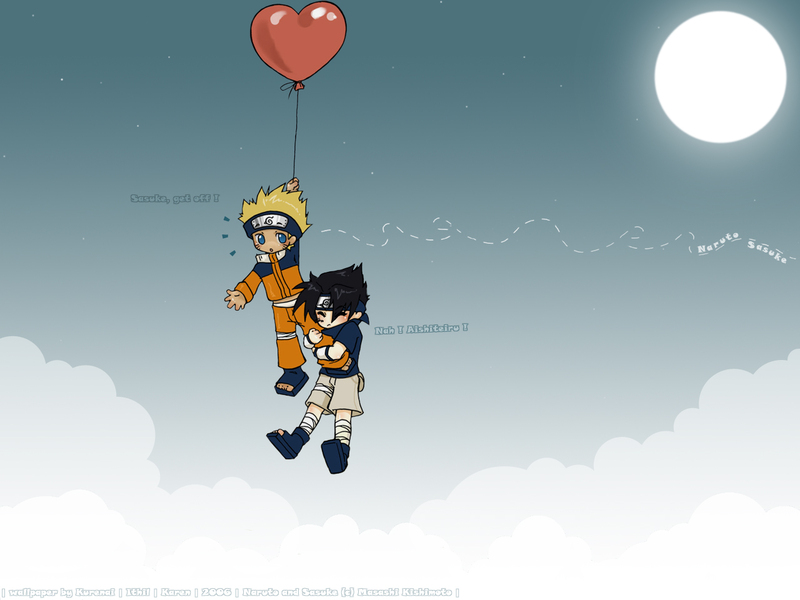 I love every cute pic of SasuNaru like this. Thanks. wow...they're looking so adorable! thanks for uploading! loved it! cute and adorable :-) naruto! OMG! What a cute wall *-*!